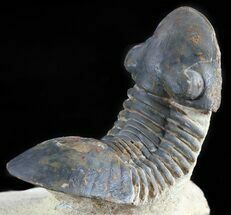 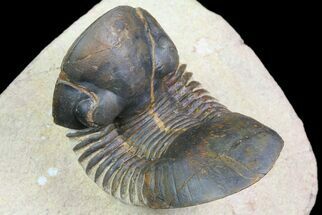 This an dramtic, tower-eyde, Erbenochile trilobite from Foum Zguid, Morocco. 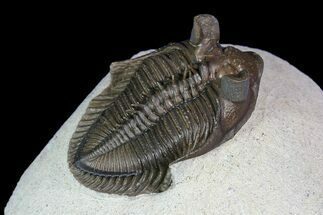 This specimen has a backwards arch to it and would be about 1.9" long if outstretched. 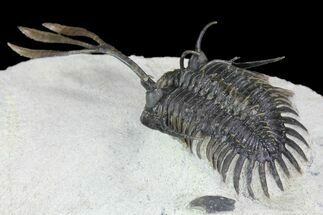 Clear eye facets in both eyes and dozens of free standing spines. 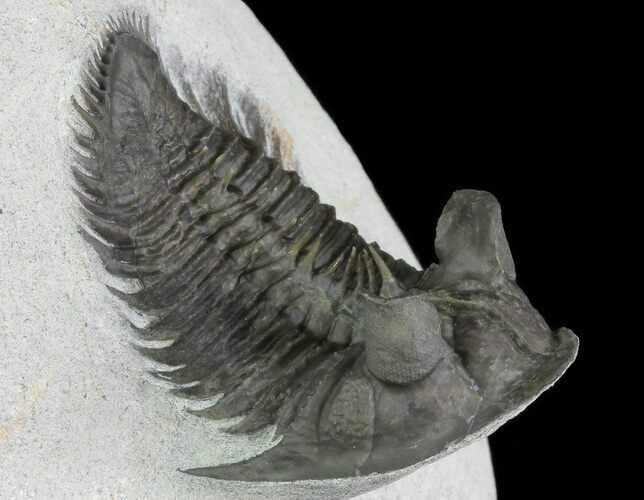 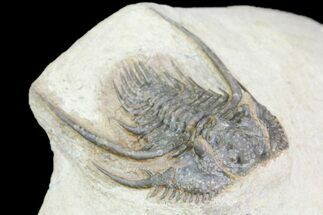 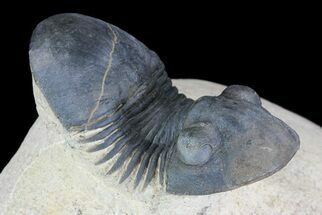 There is about 5% shell restoration on this specimen, along repaired cracks, very top of the right eye and the right lower corner of the tail.